The Hutch and Den is a secluded building situated in The Warren campsite. 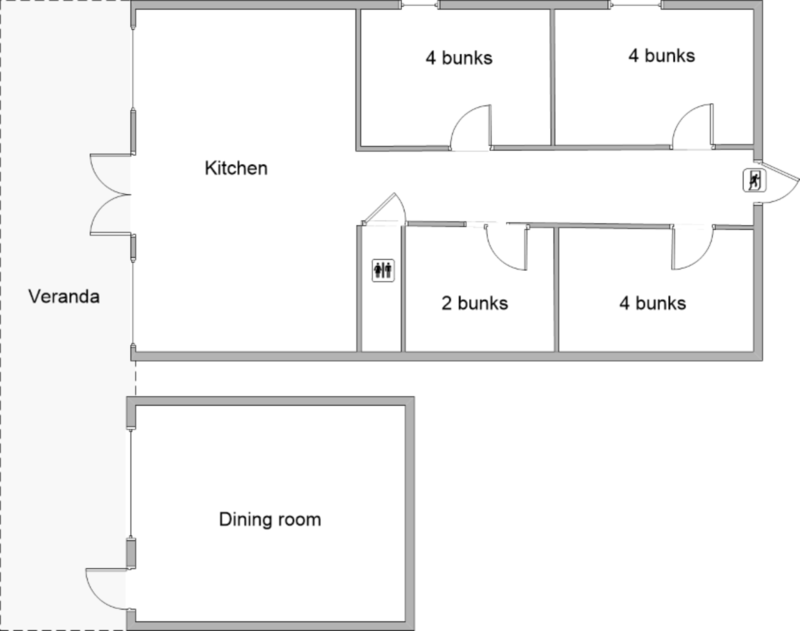 It sleeps 14 people in three 4-bed dorms and one 2-bed dorm. The Warren can also be used larger groups with another 80 could camp with space to spare for wide games, has a campfire Spot. Parking for leaders is in the lower carpark, just a 5min walk, there is only accsess by foot. You are welcome to have The Warren Site and the adjoining woodland during your stay, this building is on the The Warren.